Antivirus or anti-virus software is used to prevent, detect, and remove malware, including but not limited to computer viruses, computer worm, Trojan horses, spyware and adware, dialer, key logger and rootkit infections. Earlier when i was using windows xp I always worried about viruses and i used to search for many free anti viruses during that period. In that searching period i used many free anti viruses for my PC. Now a days I didn’t much care about antiviruses since i am using some premium antivirus for my pc. Here are the best free antivirus programs for Windows. This list is based on how well they detect and protect system from malwares and viruses. Because of the increased number of virus attacks systems should be protected using antivirus. In that case this particular free antivirus review will help you to find best antivirus for your windows P C.
used antivirus in the recent past and it is still going strong. It was very good when i was using it in the recent past. Now a days most of the people stopped using it because of best performances of other anti viruses. They are not mentioning more about system requirements or other details needed to run avira on a PC. Any way avira should work with most modern system properties. It will work with Windows xp/vista and Windows 7. 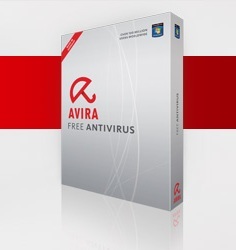 You can download avira free antivirus. An antivirus from Microsoft. It is a very good antivirus for popular versions of Windows Operating systems. I checked it with windows 7 and is working fine with my PC. You need a Genuine windows OS to use this particular antivirus. Still there are some draw backs for this particular free antivirus. One of the main disadvantage is its slow performance. But security essentials is available in many languages. So users from different countries can use this security essentials to give more protection for their PC. Download Microsoft Security Essentials. Avg Antivirus is one of the best antivirus for PC protection. 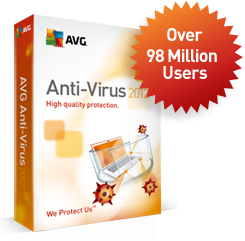 I used avg for all most one year and will give a full rating for this particular antivirus. And it is a free version of antivirus and it will be free for all ways. There are many factors to give a very good rating for this particular product. This particular antivirus is very useful for home PC’s because its easy to install and simple to use. Avg will not affect performance of your PC. Very good for personal data protection. Avg free will work with windows xp/vista and 7. As it names suggests it is a cloud antivirus. This free cloud antivirus is best among the free anti viruses. They take free antivirus into a new level. Some of the strong reasons to recommend panda cloud antivirus: Real-time protection against all types of viruses. Automatic & transparent upgrades of new engine and program versions. URL and Web filtering of malicious, drive-by exploits and phishing sites. Product localized into 20 different languages. Comodo Internet security is one and only internet security which is available for free of cost. Can use it for business purposes as well. Malwarebytes is a small Free Antivirus which is very reliable to fight against malwares worms, trojans, rootkits, rogues, dialers, spyware etc. Main advantages of using this antivirus are It is a small antivirus and give more security. Powered with Advanced Malware Detection and Removal. There are plenty of free antivirus software’s. Selecting the best one will help you to protect your PC from viruses. One of the valuable point is”Don’t use more than one antivirus in a same OS”. It will badly affect performance of PC and will give more bad results than good results.